I’ve studied and tried to live by the tenants of Benedictine Spirituality for over 13 years. It has changed me, my understanding of God’s expansiveness, and finely tuned my awareness of His constant presence. 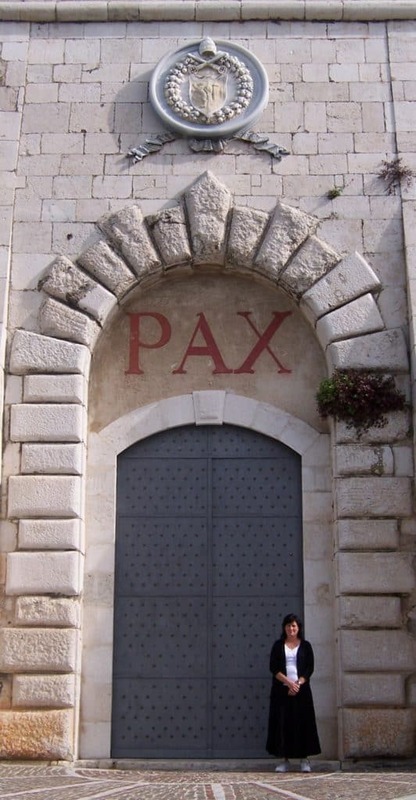 His famous “Rule” became the foundation of western monastic life. Based on the teachings found in the Gospels, it is still a powerful code of living. “Listen,” is the first word of the Rule. Listening is a lost art in this age of information. We think we listen, we certainly “hear” a lot of stuff, but hearing isn’t listening. We need to spend more time listening to God, to one another, and to our own inner voice. I believe that listening is the beginning of humility. Take a minute a think on that idea … a simple idea for a complex time. To celebrate his special day, I thought I’d come clean about the beginnings of my association with the Benedictine way of life. If you’re curious, you can read more here. Confessions of a Benedictine Oblate. Last week I received confirmation that in 2018, I will be leading two weekend retreats and three Saturday retreats at St. Andrew’s Benedictine Abbey in Valyermo, California. More information to be released on that in September. I hope you’ll find some time to join me in this amazing place. If you’re interested in learning more about the Benedictine Way of life, I’ve got some great book recommendations here. I hope you are enjoying your summer, it sure is beautiful outside. Keep your eyes up and your ears open, God longs to speak with you. As always, off-the-cuff and unedited, my thoughts on finding PEACE !!! This question in my PEACE challenge addresses the issue of finding PEACE when someone has died. So I decided to answer this question on location – at my mother’s grave. It was her birthday Saturday, she would have been 78. We’ve got several more weeks in February – send me your questions about finding PEACE. This question in my PEACE challenge addresses the issue of finding PEACE while planning a wedding. AND everyone has expectations of you! Do you have a question about finding PEACE? I’m ready to take it on, email me with your question or leave a comment below! As always, off-the-cuff and unedited, my thoughts on finding PEACE!!! Having a little fun with my friend’s question … but my answer might blow your mind! Finding PEACE in a dead-end job! This question in my PEACE challenge addresses the issue of finding PEACE in a dead-end job. We’ve all been there, as tough as it can be the solution is worthy of our struggle. Got a question about finding PEACE? I’m ready to take it on, email me with your question. Here we go! Off-the-cuff, unedited, my thoughts on finding PEACE !!! First question in my PEACE challenge addresses the issue of finding PEACE in a broken and violent world. Great question to start this challenge, as this is a struggle for many of us, given the state of affairs in the world, our country, and often right in our homes. Contact me if you have a question about PEACE. A Challenge to Find PEACE! Well, in the United States, we’ve just experienced another “orderly and peaceful transfer of power” but was it? Really? I dunno, there is a lot of unrest, confusion, and violence happening all over the country. I got a message from one of my followers. She asked “Lisa, how can we be at peace in this broken and disturbing world?” I’m with you Rebecca, this has been a troubling time. After some reflection, I decided to act on my belief in PEACE, it’s time to put something helpful out there, on the internet. In February, I will be hosting a month-long conversation about peace; How to find it. What it is, and isn’t. I want to share some tools and tips, as well as some ideas, and perspectives on things I’ve thought a lot about. To start the conversation, I want you to share your struggles to finding PEACE. When is PEACE most elusive for you? What situations present you the biggest challenge in finding PEACE? What are your barriers in finding PEACE? Leave me your responses here, or on my Facebook page, and I will answer via video. The first question, Rebecca’s, will be the first response. You can expect February 1st. Go ahead, challenge me. I’ve been at this seeking PEACE stuff for some time, I dare you to bring me an issue that I cannot wrestle with and find PEACE, somewhere. 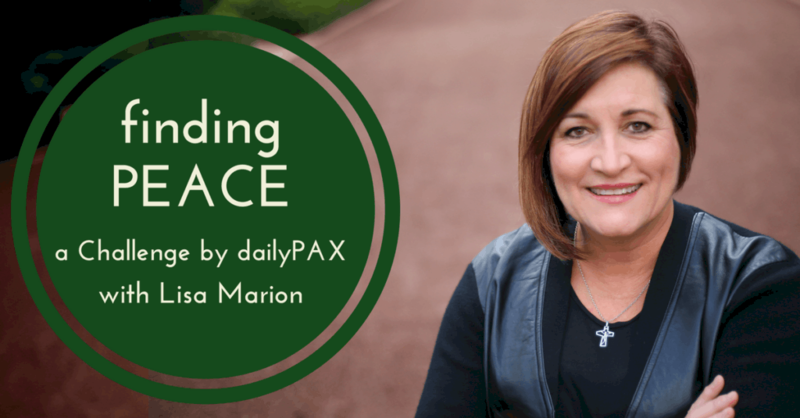 Is finding PEACE hard? Yes, it can be. Is it worth the struggle? Yes, it is. Do not underestimate the value of the struggle, it is evidence you will find an answer. I look forward to answering your questions and finding PEACE together in February.